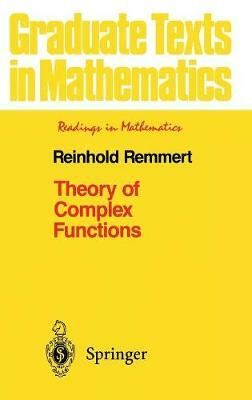 A lively and vivid look at the material from function theory, including the residue calculus, supported by examples and practice exercises throughout. There is also ample discussion of the historical evolution of the theory, biographical sketches of important contributors, and citations - in the original language with their English translation - from their classical works. Yet the book is far from being a mere history of function theory, and even experts will find a few new or long forgotten gems here. Destined to accompany students making their way into this classical area of mathematics, the book offers quick access to the essential results for exam preparation. Teachers and interested mathematicians in finance, industry and science will profit from reading this again and again, and will refer back to it with pleasure.